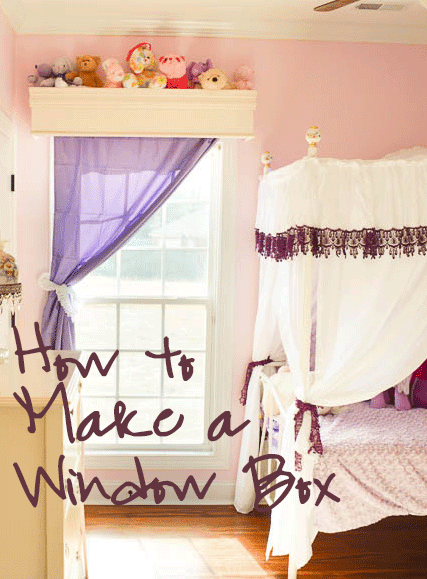 If you saw Em's surprise bedroom makeover, then you saw the pretty window box that I made. Now here is the thing, it took me about 45 minutes of hands on time to make the window box. Hands off time was to allow glue and paint to dry. In total, to complete this project took about 4 hours. 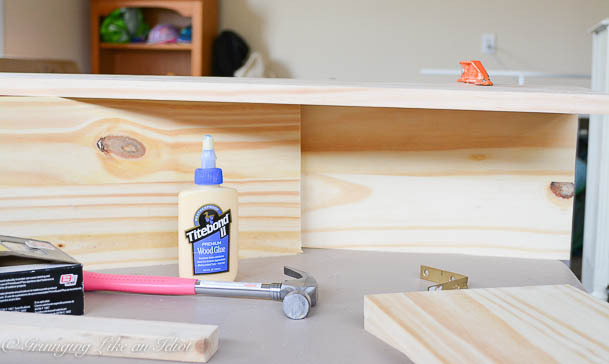 You can totally do this in a weekend and make a HUGE difference to a room! 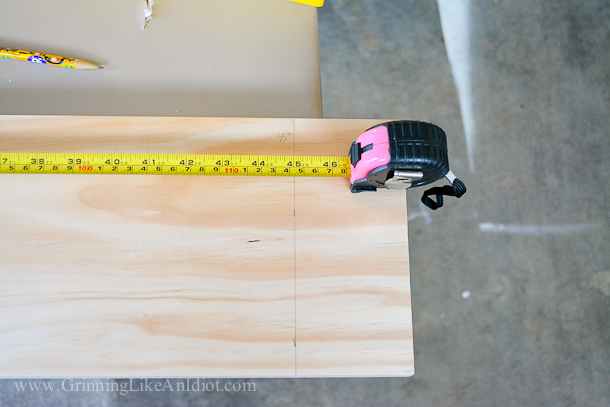 Straight edge rule/carpenters square (I actually used one of my artist measuring tools :) ) - Part of being crafty is getting crafty with what you have. I first measured the width of the window and added 4.5 inches to each side, so that it would frame the window leaving enough room for a curtain rod underneath. My window, from the outside frame to outside frame was 37 inches, adding 9 inches I cut the board at 45 inches. 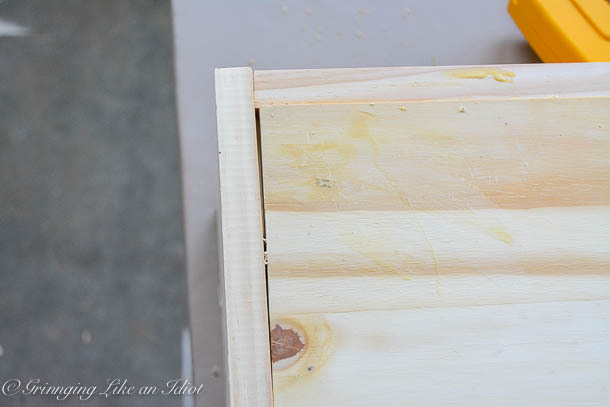 You'll need to cut 2 boards the same length (one will be the front of the window box and the other will be the top of the window box). Be sure to use a guide to ensure you get a straight cut. To do this, I used an existing board and clamp it down. 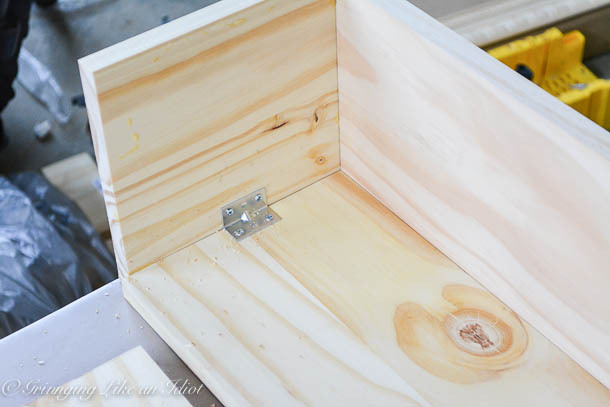 Using the Titebond II Wood Glue and the clamps, clamp the top to the front of the window box. 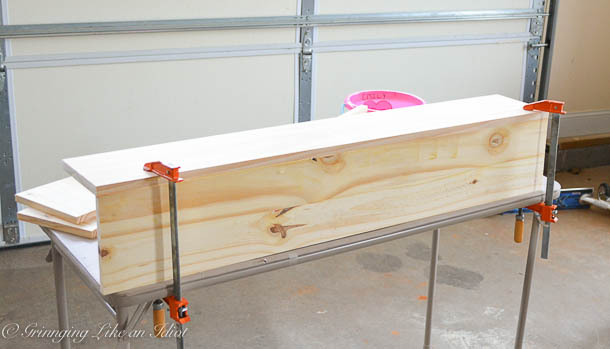 Use an extra part of the board to hold the top board level and nail the top board in place. You can also use the corner brackets to square up the front and top, it will add extra support. Use the corner brackets to easily square up and had extra support. 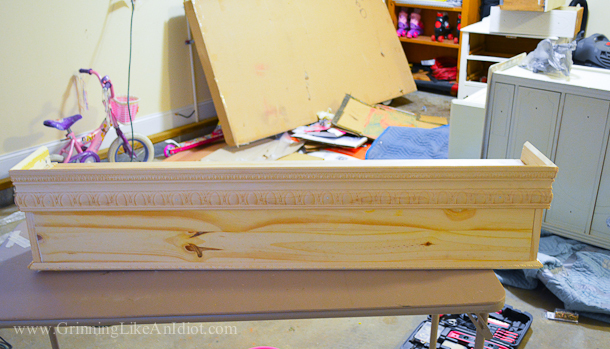 I then added some Crown Molding to the Top and bottom. 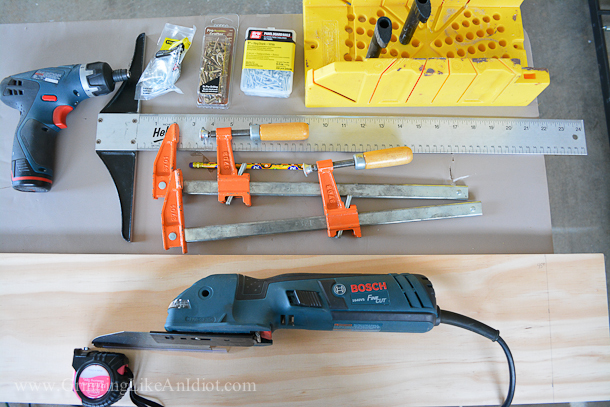 For this, be sure to measure from corner to corner again and cut at an angle on the miter box. 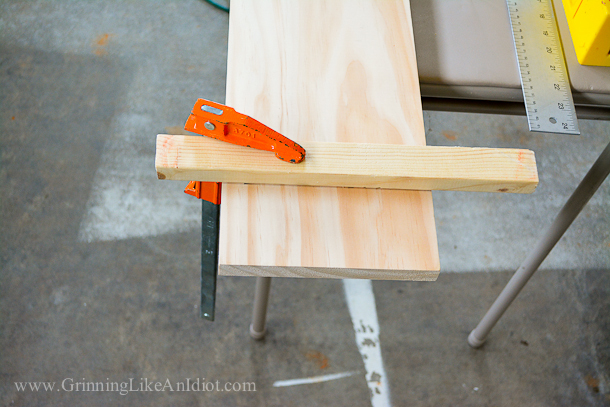 Use your clamps and glue to hold the molding in place. Once you have it placed the way you want it, use the finishing nails to hammer it in place. Here is a back view. 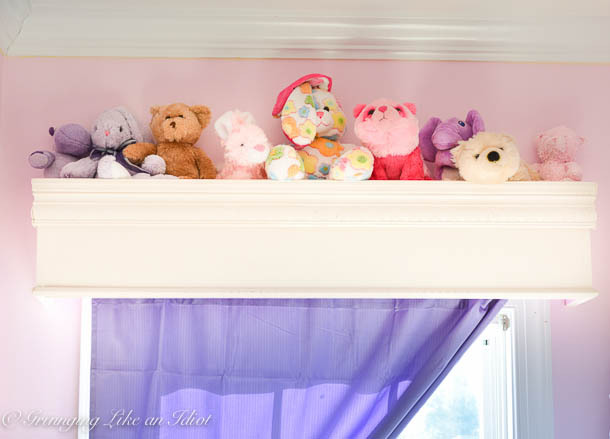 Notice how I have the Crown Molding extending above the window box? 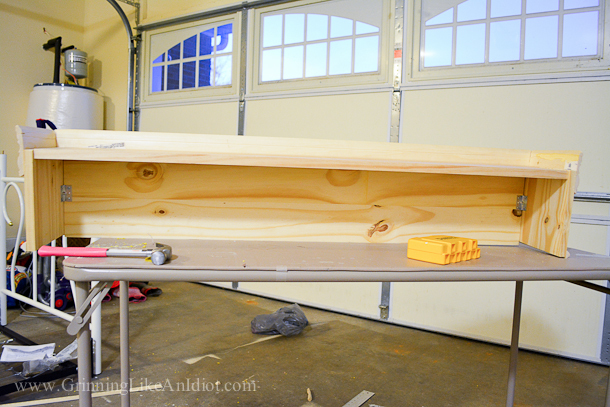 This will provide a nice ledge to put things on top of the window box. Once the wood glue and the wood putty was dry I painted the exterior and then painted the interior a contrast color. 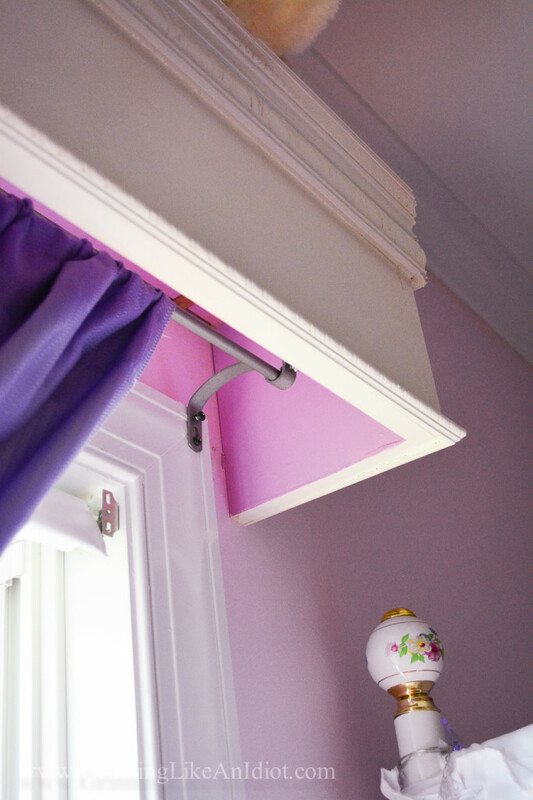 To install above the window, I used Large corner brackets. 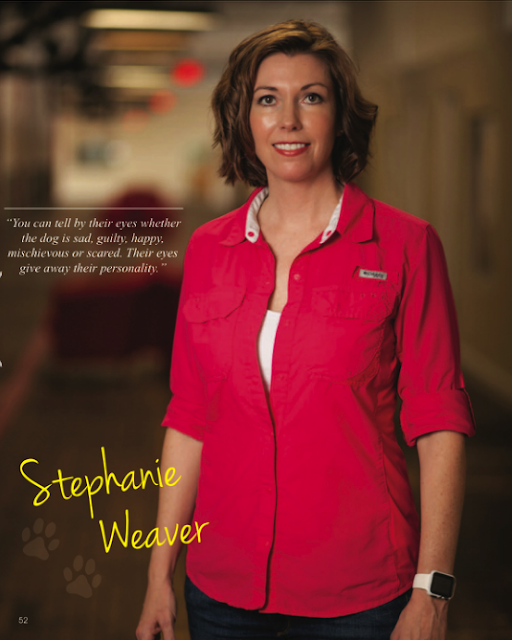 And that's that - if I can do it, so can you! With a little patience and a little know how, you can make really neat custom enhancements to your home!